Are you interested in buying and installing your own replacement windows? New windows can cut energy costs, save money, and help make your home feel warmer in the cool months and cooler in the warm months. Replacing your own windows on a do-it-yourself basis is a difficult project that presents obstacles that many homeowners are not prepared for. But it can be done. So while it is not the desire of many, it is certainly the desire of some homeowners to purchase and install their own replacement windows. As a result, there are a few places where you can buy replacement windows online. Based in Austin, Texas, Window E-Store has made serious inroads in the business of getting replacement windows in the hands of ambitious do-it-yourself homeowners. Owner Derek Baker is the name and the face behind Window E-Store. Baker began the site as an ordering tool for his contractor clients. 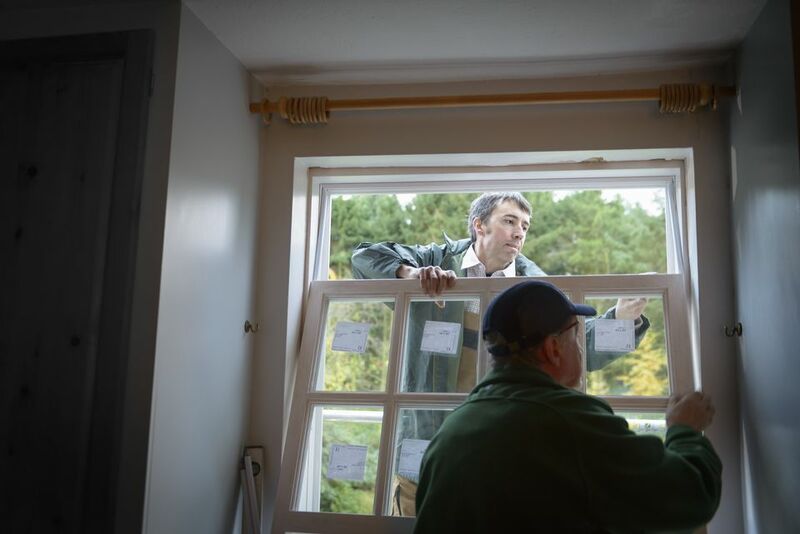 Once Baker discovered that homeowners were coming onto the site and using the tool, he realized that there was a market for do-it-yourself replacement windows. Now, Window E-Store sells replacement windows to homeowners across the United States. Windows sold by Window E-Store are made in factories in California, West Virginia, and Illinois. Window E-Store's ordering system is smooth. Check off your option (identified with both text and images) and the order form automatically opens to the next option. When you get far enough in the ordering process, a running cost total appears on the right side. The only part to manually enter is the window dimensions. Home delivery is an option, for a fee. You can avoid the charge by picking up your windows at the nearest freight delivery distribution center. Similar to Derek Baker and Window E-Store, the founders of Window Liquidators saw a need that was not being met and they decided to meet it. Quietly operating from the rapidly expanding rustbelt city of Montgomery, Illinois, Window Liquidators is one of a group of many companies and domains owned by Licentia Commerce, Inc., with offices in both Aurora, Illinois and Ahmedabad, India, to serve the wholesale home supplies industry. Window Liquidators offers replacement windows from two recognizable window brands: Crystal and Jeld-Wen. Window Liquidators does not itself stock replacement windows; instead, it acts as an online middleman between customers and window suppliers. Window Liquidators indicates that, while the majority of its business is with industry professionals, it also does sell replacement windows to do-it-yourself homeowners. It has been a long time in coming, but now it is possible to purchase do-it-yourself replacement windows online from Home Depot and other home improvement centers. Why is this so amazing? With the home centers, it is crucial that you understand the background. When you walk into a Home Depot store and see a window on the shelf, ready for immediate purchase, most likely this is a new-construction window. A new-construction window is meant for new structures (mostly additions, bump-outs, or entirely new homes) and it has fins integrated into the window body for nailing against a house. A replacement window is a different product and has no fins. It fits directly into an existing opening from which the previous window has been removed. With new-construction windows, the opening in the side of the house is constructed around the size of the window. With replacement windows, it is the opposite: The window is ordered to match the size of an existing opening. Home Depot carries some American Craftsman replacement windows on special order (American Craftsman, formerly a subsidiary of Andersen Windows, is now owned by Ply Gem). As with other Home Depot online purchases, there may be a charge for home delivery, with shipping to a Home Depot store typically free. With the home centers' online sites, take care not to purchase new-construction windows, since the product descriptions may not include the telltale terms "replacement windows" or "new-construction windows." Read the specifications carefully. The best way to ensure that you are buying the right window is to read the installation instructions; if they mention nailing fins or anything about nailing to the side of the house, these are new-construction windows, not replacement windows. Also make sure that you are not, instead, entering into a window purchase-install contract. Home centers and other companies sell a vast majority of windows through these full-service plans that include both the product and labor. Size choice is limited. As with other replacement windows, the many size gradations mean that you can usually find a window close to the size of the opening. If the window is too big, you may need to resize the opening slightly.